It’s strange enough just being in the desert canyon wilderness to begin with, but when I was at these kiva ruins this evening I could feel the mysterious caveman essence of it all. I tried some interesting lighting effects to try to portray the scene as it may have looked if people still inhabited the site. I got the foreground glow by shining my headlamp on the cliff wall behind me – during the 60 second exposure the indirect light provided nice bounce light to softly illuminate the scene. 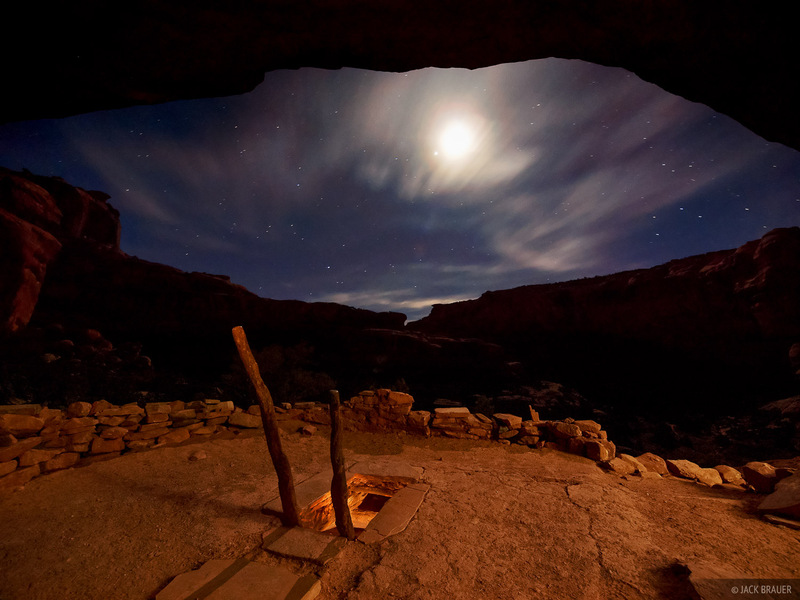 I combined that exposure with another one where I climbed down the ladder and shined the lamp around the interior of the kiva to provide that glow, as if people were inside.